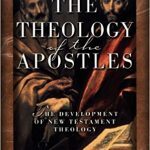 The Practice of Biblical Theology: How Is Biblical Theology Done? 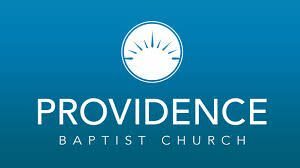 Lecture 2: How Is Biblical Theology Done? 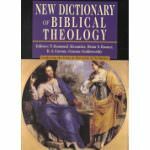 In my first lecture, I defined what Biblical Theology (BT) is and what it isn’t; I’ve also discussed hermeneutics and method in BT and surveyed four ways of engaging in BT: book by book, studying the Bible’s central themes, seeking to identify a single center, and tracing the Bible’s metanarrative. This morning, let’s move from theory to practice. 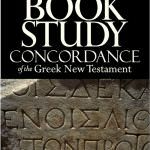 Let’s look at a couple specific examples of how to study the theology of a corpus of Scripture and how to study a given theme throughout Scripture. You know, when I’m working on a project where I survey the BT of a given book or corpus of Scripture such as John’s Gospel or the Letters to Timothy and Titus, or when I trace a theme throughout Scripture such as God’s design for man and woman, or the mission motif, or the Bible’s teaching on the Holy Spirit, once I have a solid method, all I need to do is execute. So, defining our terms carefully yesterday and honing our method was more than half of the battle. Today will be the fun part: exploring how BT works in practice. In so doing, identify key passages where the BT of a given book or corpus is most prominently enunciated, such as a preface, prologue, or introduction, summary and purpose statements, or conclusion. 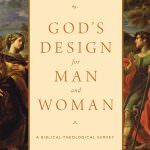 Identify prominent themes and distinctive theological emphases: in so doing, consider also important literary features such as strategic placement, repetition, structure, and/or emphases. Develop a hierarchy of themes: determine which of the prominent themes you identified in the previous step are major overarching themes and which are subthemes. Let’s turn, then, to our first case study, the theology of the LTT. 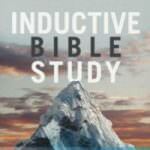 As mentioned, our biblical-theological approach calls us to be inductive, historical, and descriptive. 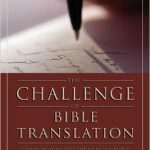 The question, therefore, is not: How would you or I outline these books or come up with theological categories, but how did Paul himself, judging by the texts we have, articulate his theological thinking in these letters? Remember: BT is the theology of the Bible and of the biblical writers themselves, not our own theology read into the biblical writings. Regarding the historical context, we see that these letters were most likely written by Paul as the final letters he wrote, toward the end of his life. That’s clear especially in 2 Timothy where Paul is in a severe imprisonment that would soon thereafter lead to his martyrdom. Moreover, as mentioned, many scholars argue that these letters were written by someone other than Paul after his death, primarily because they exhibit some significant differences when compared to his earlier letters. Why do many believe the LTT are pseudonymous? There are several reasons for this. First, the author of the LTT, when speaking of the church, does not use Paul’s favorite metaphor of the body of Christ but instead speaks of the church as God’s household. That seems to be a significant shift. 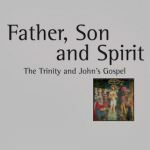 Also, the author uses a different term for Christ’s second coming (epiphaneia rather than parousia) and calls Timothy to emulate a series of Christian virtues rather than speaking of the fruit of the Spirit or of other Christian graces as in his earlier letters. 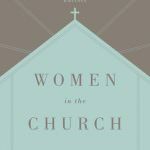 Many also note the pronounced interest in church structure and leadership, which, they say, reflects an “early Catholicism” as we see in the writings of the 2nd-century Church Fathers. In my commentary as well as later in this lecture, I cite several additional reasons as well. While none of these differences justifies the conclusion that Paul cannot be the author of the LTT, I believe that we do need to recognize that these letters are distinct and unique within Paul’s corpus. As mentioned, I don’t have much sympathy for those who argue for pseudonymity as I believe a high view of Scripture demands Pauline authorship and the evidence strongly supports it. That said, I don’t see a problem with acknowledging that the LTT exhibit a rather distinctive set of biblical-theological themes. For example, the author commonly uses the phrase “God our Savior” or “Christ our Savior.” Paul never uses that phrase in his earlier letters. So, that’s an undeniable difference. Or take the 5 “trustworthy sayings,” for example, which, likewise, are found only in the LTT. The question, then, becomes: How do we explain these differences? One way is to say that these letters were written by someone other than Paul. 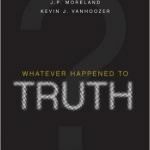 Or, one might argue that the author is the same—Paul—but he expressed himself differently. Why would he do that? Well, one possibility would be that in the respective locales to which he wrote people used different concepts and categories. We have plenty of archaeological evidence from Crete, for example, to suggest that people there worshiped other deities than Yahweh or Christ as Savior. 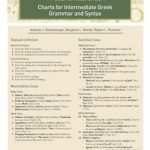 So, it is certainly possible, if not likely, that Paul, by using the phrases “God our Savior” or “Christ our Savior,” makes the emphatic point that God, and Christ, are Savior, and those other deities the Cretans were worshipping were not. 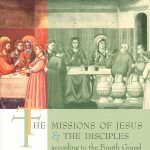 As I read these letters multiple times, I was struck by how firmly they are rooted in mission, or more specifically, in the apostolic mission of Paul and his associates. You really can’t separate the LTT from the book of Acts and the other Pauline letters. So, I’ve arrived at the settled conviction that the first major theme in the LTT—the foundational theme—is that of mission. 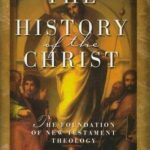 Some of you may be underwhelmed by this conclusion and say, “Well, that’s kind of obvious.” Well, I’m glad if that’s the case for you, and I certainly agree, but when you peruse the majority of commentaries and monographs on the LTT, what you’ll find is that mission is hardly ever even mentioned, which kind of makes sense when you consider that the vast majority of scholars today hold to non-Pauline authorship and some of them may not even be true believers, so don’t have much of an interest in mission. 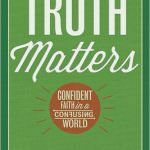 Second, a careful study of the LTT reveals that closely related to mission is the theme of teaching, the kind that flows from Paul’s apostolic preaching (the kerygma) and is passed on to his apostolic delegates as they guard it over against the false teachers. Regarding specific words or phrases conveying the “teaching” theme in the LTT there is considerable variety. The vocabulary includes “the deposit,” “the faith,” “the word of God” or “the word of truth,” “Scripture,” “teaching” or the verb “to teach,” both positively and negatively (heterodidaskalein), and 5 “trustworthy sayings,” a distinctive feature of the LTT, as mentioned. The wide range of vocabulary and the prominence of the teaching motif in the LTT underscores that Paul placed immense value on right doctrine, or as he regularly calls it, “sound or wholesome teaching.” The reason for this is that he firmly believes that right teaching is healthful and life-giving while false teaching saps the life out of individual believers and of the church. So, mission and teaching are integrally related in the LTT and occupy pride of place in these letters. 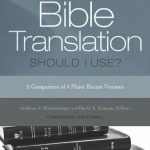 Third, when it comes to repeated and prominent references, the “salvation” word group in the LTT is rather conspicuous, both the noun (sōtēria) and the verb (sōzō) and other related terms. I’ve already mentioned that God and Christ are referred to in the LTT primarily as “God our Savior” or “Christ our Savior,” so much so that some commentators have suggested that the LTT’s Christology is essentially equivalent to their soteriology. 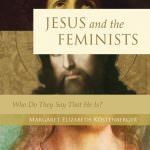 While this is probably an exaggeration, the observation is doubtless valid that Christ is featured in the LTT primarily in his role as divine Savior. 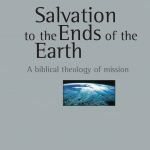 Salvation, in turn, like teaching, is integrally related to mission, so it makes sense that all three—mission, teaching, and salvation—are prominent themes in the LTT. Salvation being a prominent theme also makes sense in that all people are sinners and need salvation, a foundational reality in and incentive for mission. 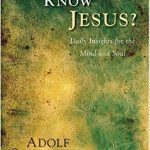 What is more, in conjunction with salvation, as mentioned, there are several references to God and Christ, which is why in my commentary I treat salvation, God, and Christ together under one and the same heading. 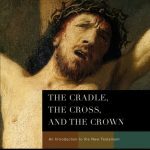 Based on my study of the LTT, I would argue that salvation is in fact the main theme and God and Christ (as well as the Holy Spirit) subthemes in that God and Christ are the source and providers of salvation. This is an example, by the way, of how BT can helpfully supplement, or even correct, ST in that we see here that from the vantage point of the writer of the LTT, salvation is the primary motif and God and Christ assume their significance in conjunction with salvation rather than as separate themes in and of themselves. 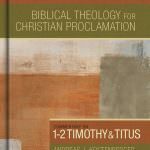 In other words, Paul doesn’t frequently urge Timothy or Titus, or their churches, to contemplate God or Christ in their own right and with regard to their various attributes (though there are places where he erupts in a doxology). Rather, Paul typically focuses on mission, teaching, and salvation, and in that context makes clear that the salvation he teaches and preaches about in his missionary practice has God as its source and Christ as its provider. Regarding the Holy Spirit, finally, it is apparent that he is less prominent than either God or Christ. In fact, the LTT feature only a small handful of references to the Holy Spirit, primarily in conjunction with Timothy’s appointment to ministry, though there is one remarkable passage on the Spirit in Titus chapter 3. 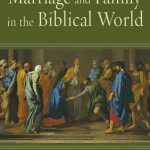 Fourth, rather than speaking of the church as the body of Christ as he does in several of his earlier letters, Paul in the LTT sets forth the metaphor of the church as God’s household. The main passage in this regard is 1 Timothy 3:14–15, where Paul writes, “I hope to come to you soon, but I am writing these things to you so that, if I delay, you may know how one ought to behave in the household of God, which is the church of the living God, a pillar and buttress of the truth.” Beyond explicit references to the church as God’s household, the concept is implicit in substantial portions of the LTT, especially 1 Timothy and Titus. For this reason, many consider both letters in their entirety (or at least sizable portions) to be extended household codes which provide instructions on how God’s people are to conduct themselves in the church. 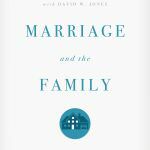 A conception of the church as God’s household, I believe, also has important implications on how we conceive of the pastoral office. Just as a natural household has various members with a vast range of needs that the head of the household is called to meet, so pastors and elders are to attend to the needs of the various members of the church. They are to love and care for God’s people in all their diversity and complexity and neediness. Fifth, Paul talks in the LTT prominently about the Christian life, especially in terms of virtues believers are to pursue. In this regard, his apostolic delegates, Timothy and Titus, are to serve as examples, as those who are frequently charged with emulating Christian virtues such as love, righteousness, faithfulness, godliness, or self-control. This reminds us that the character of church leaders is an indispensable prerequisite for their effectiveness in ministry. We dare not neglect our personal lives for the sake of church ministry. As Paul tells Timothy, “Watch your life and doctrine closely” (1 Tim 4:16); and “Let no one despise you on account of your youth, but rather set believers an example in speech, conduct, love, faith, and purity” (1 Tim 4:12). In addition, Paul talks about the importance of good works and good citizenship. He also exhorts God’s people to witness to the gospel in word and deed and to persist in their faith in the midst of suffering and adversity. Sixth and finally, Paul speaks in the LTT repeatedly about the last days. 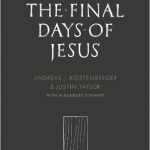 Some interpreters have argued that the LTT date to a time when the expectation of Christ’s return has largely faded into the background and the author is more interested in the church as a permanent institution than in spiritual gifts or eschatological expectations. This, as briefly noted, is called the theory of “early Catholicism,” which implies that these letters are late and date to the end of the first or even the beginning of the second century by which time the church had developed a hierarchy of bishops and priests eventually leading to the Roman Catholic Church. I believe this view is demonstrably mistaken as it overlooks the connection with the mission of the early church in the book of Acts where we see that Paul and others appointed church leaders from the very beginning (see, e.g., Acts 14:23), not only in the late first or early second century. Also, the LTT display a very keen interest in the end times, including the workings of Satan, demons, and angels, and the second coming of Christ. In particular, Paul sees the end times as already present in the sense that the devil is actively at work through the false teachers who try to infiltrate and subvert the church and lead it away from the apostolic gospel. 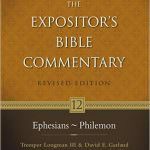 And most distinctively, Paul sees the present age of the church as the time between Christ’s first and second comings, both of which he describes in similar terms (namely the word epiphaneia). So, this has been a very brief sketch of some of the major contours of Paul’s theology in the LTT. In light of this, let’s briefly ponder the important question: How is this understanding of the BT of the LTT different from a standard ST treatment? Let me register a few general observations. (1) Starting with mission is very different, as ST treatments never start with mission and some, if not many or even most STs, don’t include mission at all. 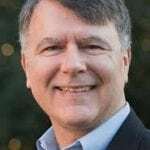 (2) Putting salvation in a preeminent place and subordinating God and Christ to salvation is also different, as ST typically treats God and Christ prior to salvation, moving from theology proper to Christology and later to soteriology. 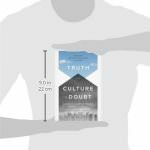 (3) The depiction of the church as God’s household may in many STs pale in comparison to the more prominent metaphor of the church as Christ’s body. 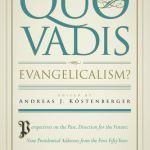 (4) Viewing eschatology and ecclesiology jointly as we have done is also different from ST which typically treats ecclesiology and eschatology separately. 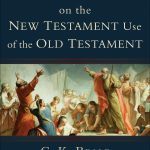 I could go on, but I think you get the point: BT, if done well, can give us an independent set of legs to stand on that allows us to get closer to the Bible and enables us to critique and at times even correct standard ST treatments, especially when looking at a given OT or NT book or corpus. 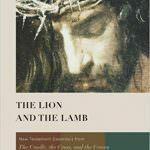 I think the foregoing study of the theology of the LTT demonstrates rather clearly that while both BT and ST have a vital contribution to make, there is a marked difference between BT and ST. ST endeavors to bring Scripture closer to our day by trying to find answers to questions we have today. By contrast, BT tries to bring us closer to Scripture by helping us see what the biblical writers themselves believed so we can conform our beliefs to theirs. 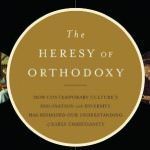 In this way, we submit to the authority of Scripture and allow it to set the agenda for us rather than domesticating Scripture and conforming it to our agenda, ideology, or culture. With that, let’s move to our second case study. It’s important for us to realize that there are several different legitimate ways to engage in BT. One is to study all the themes in one book or corpus of Scripture, as we’ve just done with the LTT. 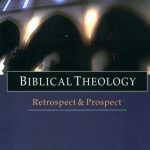 Another legitimate way of engaging in BT is to study one major theme throughout all of Scripture. 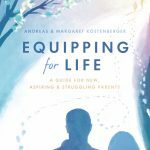 As I mentioned yesterday, there are several examples I could give here such as the mission theme or biblical manhood and womanhood. But today, I’d like us to take a brief look at the BT of the Holy Spirit, as a sneak preview of a joint project I’m currently working on with Gregg Allison, to be published as the inaugural volume in a forthcoming 15-volume series published by B&H and edited by David Dockery, Chris Morgan, and Nathan Finn. 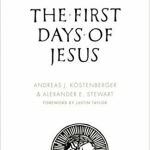 This project, incidentally, is a good example of what I was talking yesterday regarding the collaboration between Biblical and Systematic Theology. I’ve run the race first, and hopefully have gotten us off to a good start, by tracing the theme of the Holy Spirit all the way through Scripture from Genesis to Revelation. Now Gregg has begun his work in Historical and Systematic Theology, building on the BT work which I have passed on to him. Similarly, in the NT not every reference to pneuma, “spirit,” refers to the person of the Holy Spirit. Many are references to the human spirit or to the wind (see, e.g., Jesus’ wordplay in John 3:6–8, where Jesus uses the word pneuma to refer both to the Spirit and to the wind). What is more, sometimes the Holy Spirit is referenced apart from the word pneuma. Take, for example, Jesus’ reference to “the promise from the Father” in Luke 24:49 or “the gift my Father promised” in Acts 1:4. Theologically, there is a development from the OT, where the Spirit is shown to be active in creation and later is said to come upon leaders or prophets at God-appointed times but does not indwell ordinary believers, to the NT, where the Spirit comes to indwell every believer starting at Pentecost. 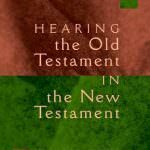 One fascinating challenge when studying the Holy Spirit throughout Scripture is that there is only a limited amount of material on the Spirit in the OT, which is why I will spend a bit more time on the OT here. To begin with, there are 3 references to the Spirit in Genesis and 7 more in the remainder of the Pentateuch. The Spirit is first mentioned in the Bible as hovering over the waters at creation in Gen 1:2; the closest OT parallel speaks of an eagle hovering over her young (Deut 32:11), so the word picture is likely that of the Spirit as a mother bird (see also Isa 31:5). In Gen 6:3, just prior to the universal flood, it is said that God’s Spirit won’t remain with humanity forever. In Gen 41:38, none other than Pharaoh recognizes the Spirit’s presence with Joseph. In the rest of the Pentateuch, the Spirit is depicted as coming on, or being with, several individuals: craftsmen building the sanctuary (Bezalel and Oholiab; Exod 31:2; 35:34–35), the 70 elders (Num 11:17, 25), Balaam the prophet (Num 24:2), and Joshua, Moses’ successor (Num 27:18; Deut 34:9). In the Pentateuch, then, the Spirit is shown in three primary functions: as an agent of creation, as an agent of judgment, and as an agent of empowerment for God’s service. Moving on to the historical books, in the days of the judges the Spirit is said to have come onto national deliverers such as Othniel, Gideon, Jephthah, and Samson (Judg 3:10; 6:34; 11:29; 13:25; etc.). During the early days of the monarchy, the Spirit came first on Saul (1 Sam 10:6) and subsequently on David (1 Sam 16:13). In both time periods (the judges and the monarchy), the Spirit is shown to mediate God’s presence and to empower the deliverers and rulers of his people. In addition, the references to the Spirit in Kings, Chronicles, and Nehemiah all involve his activity in conveying Yahweh’s words to his people through prophets such as Elijah, Elisha, or Zechariah (1 Kgs 18:12; 2 Kgs 2:16; 2 Chr 24:20). Thus, in the historical books the Spirit’s work is essentially twofold: raising up and empowering national deliverers and rulers and empowering God’s spokespersons to prophesy. There are few overt references to the Spirit in the wisdom literature (though see, e.g., Ps 33:6; 104:30; 139:7; Job 33:4). Overall, wisdom theology is grounded in creation theology where God’s powerful, effective word is shown to be the grounds of everything that exists. 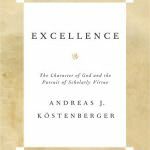 Thus, the Spirit takes on foundational importance for how God’s creation works and is to be inhabited, utilized, and enjoyed. The Spirit is also shown to teach God’s will and to examine a person’s inner being (Ps 143:10; Prov 20:27). The Spirit is mentioned repeatedly in the prophetic books, especially Isaiah, Ezekiel, and Zechariah. In Isaiah, the operation of the Spirit is linked with the coming of the Messiah (Isa 11:1–5; 42:1–4; 61:1–2; cf. Luke 4:18-19). In Isa 11:2, the prophet says that “the Spirit of the Lord shall rest upon him [the Messiah], the Spirit of wisdom and understanding, the Spirit of counsel and might, the Spirit of knowledge and the fear of the Lord.” In Isa 42:1, Isaiah prophesies, “Behold my servant, whom I uphold, my chosen, in whom my soul delights; I have put my Spirit upon him, he will bring forth justice to the nations.” Finally, in a passage cited by Jesus in his hometown synagogue in Nazareth, Isaiah writes of the Messiah, “The Spirit of the Lord God is upon me, because the Lord has anointed me to bring good news to the poor; he has sent me to bind up the brokenhearted, to proclaim liberty to the captives, and the opening of the prison to those who are bound; to proclaim the year of the Lord’s favor, and the day of vengeance of our God; to comfort all who mourn” (Isa 61:1–2). The Spirit is also frequently mentioned in Ezekiel while being virtually absent from Jeremiah. Ezekiel prophesies that God will provide his people with a new heart and a new spirit (Ezek 36:25–27; cf. 39:29) and links the Spirit with restoration from the exile (Ezek 37:12–14). The #1 passage on the Spirit in the Minor Prophets (the Twelve) is Joel 2:28–29, the well-known passage cited by Peter at Pentecost, which speaks of a universal outpouring of God’s Spirit on “all flesh” regardless of ethnicity, gender, or social status. Moving on to the NT, we see the Spirit actively at work in strategic salvation-historical individuals such as John the Baptist, Mary, Elizabeth, Zechariah, and Simeon (Luke 1–2) in anticipation of the coming Messiah, Jesus, through whom God would be present with his people in an unprecedented manner. During his earthly ministry, Jesus is shown to possess the Spirit to an unlimited degree (John 3:32), and the Spirit is depicted at Jesus’s baptism as descending and resting on him (Matt 3:16/Mark 1:10/Luke 3:22/John 1:32–33). The future would hold the promise of even more significant pneumatological developments. John the Baptist, and later Jesus himself, indicated that the Messiah would baptize not merely with water but with the Holy Spirit (Matt 3:11/Mark 1:8/Luke 3:16/John 1:33; Acts 1:5). At this future giving of the Spirit (John 7:38), both Jesus and his Father would make their home with believers by the Spirit who would be with them forever (John 14:16–17, 21; cf. John 20:22; Luke 24:49). Jesus’ promise is realized following his ascension at Pentecost, when believers are filled with the Holy Spirit (Acts 2:4) in fulfillment of the promise of Joel 2 that in the last days God would pour out his Spirit “on all flesh” (Acts 2:16–21). Now it was not only the leaders of God’s people who experienced the presence of the Spirit but everyone who called on the name of the Lord. Soon it became clear that the same presence of the Spirit was available to Gentile believers in Jesus as well (Acts 10:44–47), in keeping with John the Baptist’s prophecy (Acts 11:15–17). Throughout the book of Acts, the Spirit is shown to empower and direct the early church’s mission to the ends of the earth, so much so that Acts is not so much the Acts of the Apostles as it is the Acts of the Holy Spirit through the apostles. 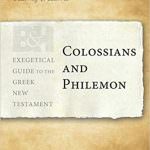 The NT epistles, especially the writings of Paul, reinforce the notion that every believer now enjoys the Spirit’s indwelling presence whereby references to the Spirit in Paul’s writings are best studied in chronological rather than canonical order (i.e., Galatians, 1-2 Thessalonians, 1-2 Corinthians, Romans, Prison Epistles, and LTT). Paul writes that believers have “received” the Spirit who has been given to them (Rom 5:5; 8:15). The Spirit is “in” believers (1 Cor 6:19) and has come to “dwell in” them (Rom 8:9, 11; 1 Cor 3:16). They possess the Spirit as “firstfruits” (Rom 8:23) and “guarantee” (2 Cor 1:22; 5:5). In terms of his activity, the Spirit is shown in Paul’s letters to mediate God’s presence, to impart life, to reveal truth, to foster holiness, to supply power, and to effect unity (see esp. Eph 4:1–5). Moving on to the General Epistles, the Holy Spirit is featured in three warning passages in the letter to the Hebrews. The author issues warnings not to disregard the witness borne by God through the Holy Spirit, not to disregard manifestations of the Holy Spirit as the people of Israel did in the wilderness during the exodus, and not to disregard the Son of God and the blood of the covenant, enraging the Spirit of grace (2:4; 6:4; 10:29). The Spirit is also featured as the author of the sacred OT writings who through Scripture still speaks today (3:7; 9:8; 10:15). Peter, in his first letter, highlights the Spirit’s role in sanctification (1:2). He reminds his readers that they are blessed if and when they are persecuted, because the Spirit of God rests on them (4:14). 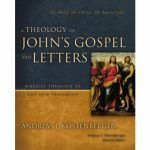 He also underscores the Spirit’s role in the ministry of OT prophets and NT apostles (1 Pet 1:10–12; 2 Pet 1:21) and features the Spirit as an agent of Christ’s resurrection. John, in his first letter, speaks of believers having an “anointing from the Holy One,” that is, the Holy Spirit (2:20, 27). 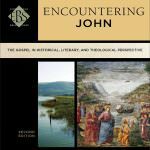 John also names the Spirit as one of three witnesses to Jesus together with Jesus’s baptism and crucifixion (5:6–7) and as the one who bears internal witness to believers (5:10). In the book of Revelation, finally, the Spirit is associated with each of John’s four visions (the phrase “in the Spirit” is found at or near the beginning of each of the four visions in Rev 1:10; 4:2; 17:3; and 21:10). The Spirit is also repeatedly featured in Revelation as the “seven spirits of God” (1:4; 3:1; 4:5; 5:6), and the letters to the seven churches in chapters 2-3 contain the consistent refrain, “He who has ears, let him hear what the Spirit says to the churches.” Finally, the Spirit is shown to be actively involved in the church’s witness and mission amidst persecution and at the end of the book of Revelation, the Spirit and the church both longingly plead with Jesus to return soon (22:17). To summarize, from Genesis to Revelation, from creation to new creation, the Spirit of God is an active participant in the story of Scripture. He is life-giving, life-empowering, and life-transforming. While closely aligned with God, the Spirit operates as a distinct person along the salvation-historical continuum. He is at God’s side at creation (Proverbs 8; cf. Gen 1:2). He empowers divinely appointed leaders, whether national deliverers, craftsmen constructing the Tabernacle, or royalty such as King David. In keeping with the prophetic vision, the Spirit anoints and rests on the Messiah (Luke 4:18–19; cf. Isa 61:1–2). 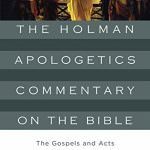 In this way, the Spirit is not only integrally involved in God’s work throughout salvation history, he increasingly steps into the foreground. While his activity during Jesus’s earthly ministry is accomplished in and through the Messiah, particularly in Jesus’s healings and other miracles, he bursts onto the scene even more spectacularly on the day of Pentecost, following Jesus’s exaltation, again in fulfillment of the prophetic vision as well as of the words of Jesus (Acts 2; cf. Joel 3; Acts 1:5, 8). The church age may arguably be described as the age of the Holy Spirit, inaugurating the last days. Thus, the Holy Spirit serves as Jesus’s successor on the earth, the “other helping Presence” sent jointly by God the Father and God the Son (John 14:26; 15:26), empowering the church’s mission and witness and providing the energizing dynamic underlying the proclamation of Jesus’s resurrection and triumph over Satan, the demonic forces, sickness, and even death. The book of Revelation, in keeping with Isaiah’s portrayal, depicts the Spirit as the seven spirits of God before the throne of God (Rev 3:1; 4:5; 5:6; cf. Isa 11:2–3). In this way, the Spirit is presented as intimately associated with God and his sovereign rule and yet distinct in personhood. 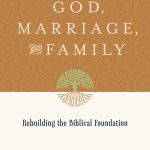 The Bible, in both Testaments, provides a fascinating and intriguing conglomerate of puzzle pieces that make up the mosaic sketching the contours of a biblical theology of the Spirit. 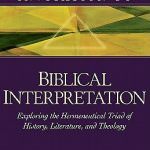 D. A. Carson has rightly said that the measure of any biblical-theological proposal is the way in which it deals with the question of the Bible’s unity and diversity. 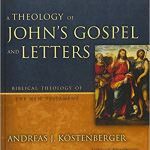 Regarding a biblical theology of the Spirit, one detects a measure of both unity and diversity, continuity and discontinuity. On the one hand, the same Spirit is operative throughout the full orbit and canvass of Scripture. On the other hand, the day of Pentecost marks a watershed with the pouring out of the Spirit on all believers. The NT writers thus provide a multi-faceted portrayal of the roles and ministries of the Spirit. He regenerates, renews, transforms, guides, convicts, teaches, sovereignly distributes spiritual gifts, and fulfills many other functions in the corporate life of the church and in the lives of individual believers. 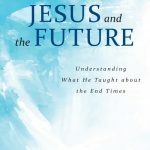 He also sustains an intimate and integral relationship with God the Father and God the Son throughout salvation history past, present, and future. With this, our journey through BT has come to an end. Thanks so much for joining me these last two days for a discussion of how to engage in BT so as to discern the theology held by the biblical writers themselves. As mentioned, engaging in BT requires careful listening to the text and an inductive approach that is primarily historical and descriptive. 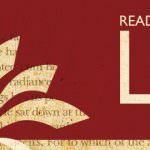 To flesh this out, we’ve looked at two primary examples of engaging in BT: studying the theology of a distinct group of writings in the Bible, the LTT; and studying a particular theme throughout Scripture, namely that of the Holy Spirit. 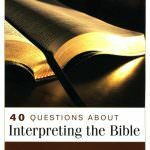 Hopefully, engaging in BT has gotten us into closer touch with what the Bible teaches on these subjects. If we come to the Bible prepared to submit to its authority, even where this is countercultural, we will be challenged to make life changes to align our lives with God’s will for our lives. 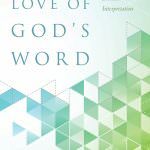 Rather than imposing our own views, and those of our culture, onto Scripture, we will be changed by the “living and active Word of God.” BT therefore holds great promise as it enables us to move closer to Scripture and closer to God. Thank you very much. Note: I delivered this address as the second part of the 2018 Sizemore Lectures at Midwestern Baptist Theology Seminary in Kansas City, MO. You can read the first address here and watch a video of the second address here.